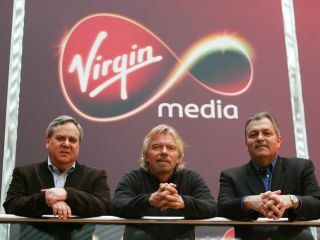 Virgin Media has announced that it plans to start the roll out of a 100Mbps broadband service before the end of 2010. Virgin, which currently offers its 4.1 million customers the choice of 10Mb, 20Mb, or 50Mb connections, claims the new, improved speed, which uses fibre optic cable, will mean that users would be able to download an hour long TV show in just 31 seconds. An HD movie would take less than seven-and-a-half minutes to download. The 100Mbps connections, which Virgin says are 24 times faster than the average speed of its competitors, is aimed at the tech savvy. Company CEO Neil Berkett said: "There is nothing we can't do with our fibre optic cable network, and the upcoming launch of our flagship 100Mbps service will give our customers the ultimate broadband experience. "Just as we led the way by launching the UK's first ever next generation service, we want to keep giving our customers the very best broadband available, by investing in technological innovation and transforming the experience they have when they are online. "The launch of Virgin Media's 100Mbps service will be a historic moment and will mean the UK will be comparable to other leading broadband nations." The fact that Virgin is using fibre optic cable means it can deliver very close to its advertised speeds, and it has ambitious plans for the future. It already has a 200Mb pilot programme in place in Kent, and is extending that to Coventry, where it's seeking volunteers to test the ultra-high speeds. So perhaps being sent to Coventry won't mean isolation, after all.